Our experienced staff hold the highest accolades and ratings and is comprised of nationally recognized coaches and instructors. Combined, they have decades of working in the skydiving industry with tens of thousands of skydives. Owner operated and run by fellow skydivers, our goal is to guide each student, or tandem jumper in becoming a proficient, and safe skydiver. Upon arrival, you will check in and begin a short class, paperwork and watch a video explaining your skydive. 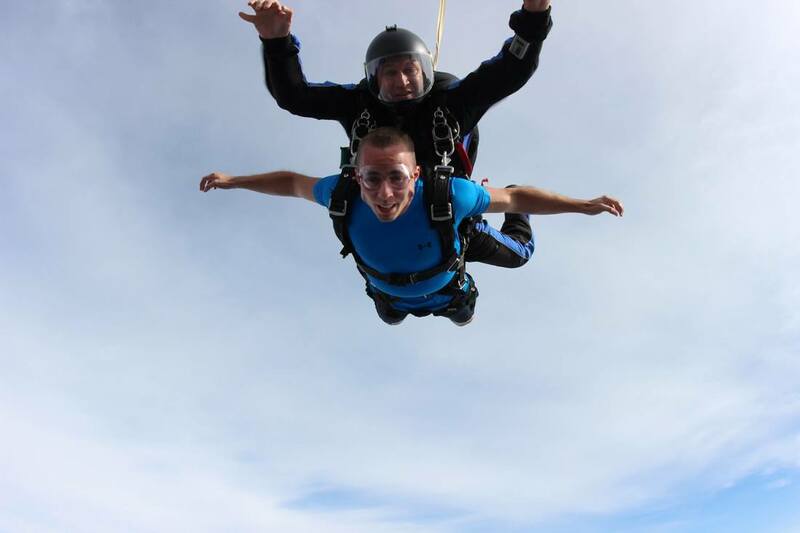 This process generally only takes about 20 minutes and upon completion, you will be paired with your instructor to go over the entire skydive. Next, you will be geared up and fitted with a state of the art harness system designed specifically for tandem skydiving and will then board a customized aircraft with your instructor. On the climb to altitude, you will enjoy captivating views of the Blue Ridge Mountains, historic battle grounds, the Shenandoah Valley, and all the beauty Virginia has to offer. In freefall, have fun with your video! Smiles, funny faces, and general shenanigans are encouraged! ​This is your experience and we're here to make it as memorable as we can. When it’s time to deploy your parachute, the next part of the skydive begins. During a scenic 5-7 minute canopy ride back to the landing zone you will literally feel on top of the world as your instructor guides you to the ground. You can wave to your family and friends waiting in the spectator area as your instructor lands the parachute system. Before your feet even touch the ground, you'll be anticipating your next jump.